Note that while Android and iOS release versions are coordinated, not every version is released on both platforms. Generally, the Android builds are a bit more frequent, due to the higher market penetration and the fact that I personally test it in the field daily. – Manual upload to cloud now syncs changes in all sheets, not just current one. – Alert now displayed when manual upload is unsuccessful. Apr 19, 8:37 PM: Full rollout. Apr 16, 8:30 AM: Full rollout. Apr 6, 10:20 PM: Full rollout. Apr 6, 3:28 PM: Full rollout. While your individual vote is private, the aggregate vote of from your precinct (ie, neighborhood) is public. Campaigns often look at these precincts level results to answer questions like “How did the President do in my district?” and “How did this Initiative correlate with that candidate?”. 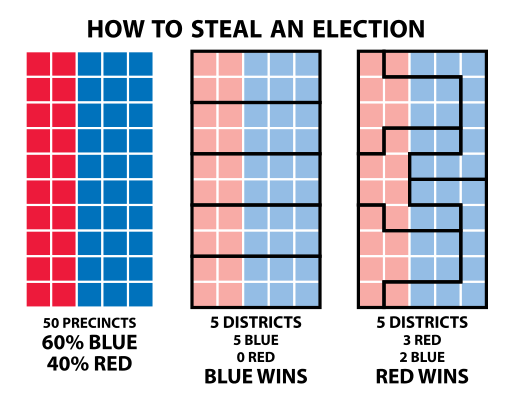 Merging precinct results from different races together to get these insights can be valuable – but only if the merge is done correctly! But what happens when you need to merge precinct results across different years and the precinct boundaries have changed? This is particularly significant when comparing precinct results from 2010 (before redistricting). Here are several examples of precinct changes, going from an old (dotted blue line) to a new (solid red line) boundary. Rename – The precinct gets renamed from “A” to “X”, but covers the same area. Combination – a combination of the above, representing a potentially arbitrarily complex transformation. Your precinct may even have kept the same name but still significantly changed boundaries! A precinct from 2010 and another from 2018 could have the same name, but refer to totally different voters or neighborhoods. So naively, if you just measure results from old and new precincts, you could get a complete mixup. We measured how much WA state 2018 precincts had changed since 2018 (before redistricting). We call this the “decay rate” (see VRDB decay rate). Each point on the chart below represents how “intact” a 2010 precinct is compared to the same precinct name in 2018. Precincts that are 100% intact are stable and haven’t changed – those results can be merged safely by name. This chart shows the portion of precincts that stayed the same vs. changed. In fact, it turns out over a third of the precincts were totally intact from 2010. But half were completely different! Merging precincts from that half could give completely random results. What’s interesting is how clustered the results were: over 80% of precincts are either nearly unchanged or completely changed. So this is a highly localized phenomena: some areas may not see it at all (and hence not even realize it exists), whereas other areas may be heavily impacted. The good news is that once we recognize this, we can actually do geo spatial comparisons to map the old precincts into the new ones. This creates a transform that lets us compare precinct results across different boundaries. This article describes a best-practice for campaigns in using data for targeting voters and how you can achieve that with TRC. The flow here is to start with getting initial public data from the county auditor, merge in microtargeting information, choose the targets, canvass, and iterate on the model.